Don't forget the the middle-man in between you and the user. You know, the company behind the product? AKA your client? Their organization? To build a successful product, it’s just as important to get to know them for a lot of reasons. As a designer, asking that simple question, ‘why?’, is very critical to my job, and one I need to ask before I start anything. Why? A few weeks back I saw this article from Jared Spool in my twitter feed - and the timing was eerily perfect. We were in the midst of re-examining what it was we were doing for our client and why. The roadmap we had originally created had shifted and morphed and when all was said and done, there we were with a "map" but the idea of where we were going, our focus, got hazy. To most, it just looked like a bunch of feature changes. Building a roadmap is challenging. You know the least amount you will know at the beginning, and that is when your team (and your client) want to know what it is you plan to do and how much will it take. Historically, we've tried different approaches to make this more efficient and realistic for us and our clients. But at the end of the day, roadmaps tend to just look like a big list of features, a bunch of "stuff" that we are going to do. In the background, it's all intentional and tied to the needs we've so far determined, but it doesn't make the picture clearer. The idea of identifying the themes to focus our discussion and solutions is one I'm willing to try. It may not be the only answer for roadmaps and project scope, but if anything - it's the place to start. The better we understand users, the better products and services we can create. 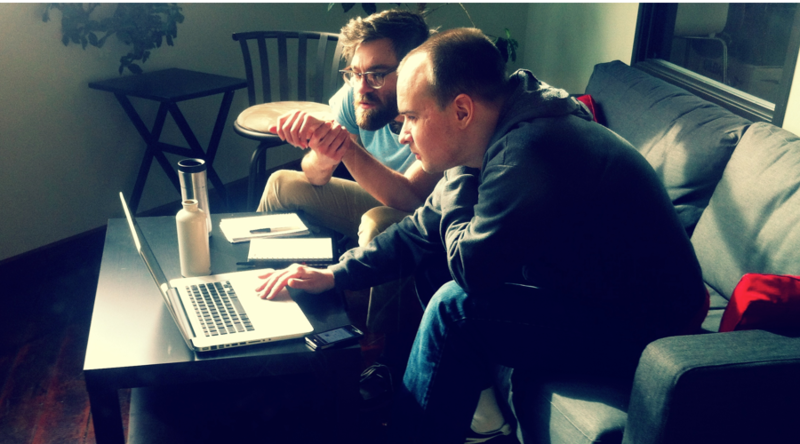 User research is a critical, yet often overlooked step in the development process. Read on for a look at a few commonly held misconceptions about user research and learn why it's more more accessible for your project than you may think. Badass Users Book Trailer from Seriouspony on Vimeo. Kathy Sierra put together her own book trailer using stock videos. Recently in the Harvard Business Review, Wyatt Jenkins of Shutterstock shares some thoughts on how their product benefits from experimentation.